The registration of deaths in South Africa is governed by the Births and Deaths Registration Act, 1992 (Act No. 51 of 1992), as amended. The Department of Home Affairs (DHA) uses death notification form DHA-1663 to register all deaths and stillbirths. Stats SA collects completed death notification forms from the DHA head office for data processing, analysis, report writing and dissemination. 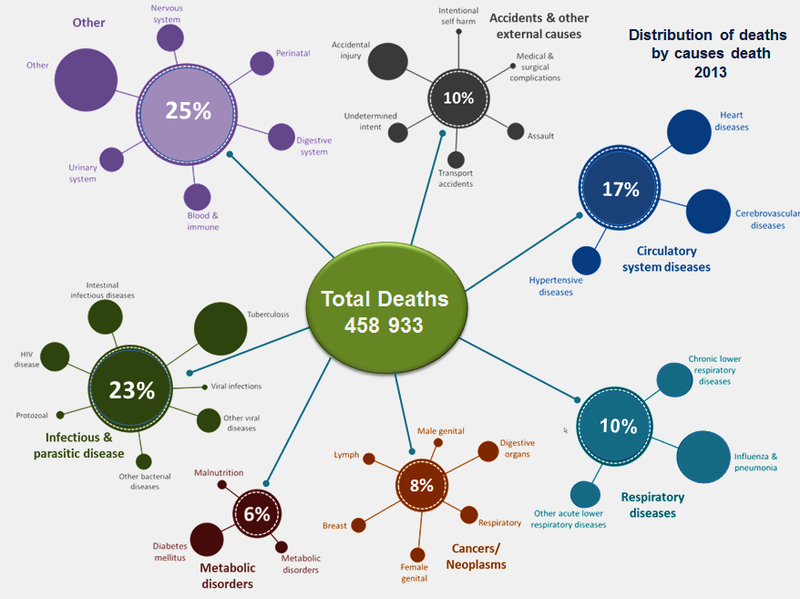 Causes of death statistics are compiled in accordance with the World Health Organization (WHO) regulations that require that member nations classify and code causes of death using the tenth revision of the International Classification of Diseases and Related Health Problems (ICD-10).